After years of whispers, rumors, and speculation, Amazon(s AMZN) has entered the smartphone market. The giant e-tailer turned hardware maker launched the Amazon Fire Phone on Wednesday, with CEO Jeff Bezos showing off some of the handset’s innovations. AT&T(s t) is the exclusive launch partner, offering the phone for pre-order now with July 25 shipping starting at $199 on-contract or as low as $27.09 a month with zero up front. I followed our live blog of the event, deftly handled by Laura Hazard Owen and Kevin Fitchard, so I haven’t yet seen what they saw at the event. Once a review unit arrives, perhaps I’ll change my mind — and I reserve the right to do so! — but at the moment, I’m not overly impressed by the Fire Phone. It seems like after waiting so long to jump into the smartphone game, Amazon could have created something more unique for consumers. Instead, the event felt like a stage to show off features that benefit Amazon even more than its customers. Amazon's offer: An overpriced Android phone minus popular Googles apps/ecosystem/cloud but with gimmicks you won't use. Just that it’s hard to overcome that high sticker price with a bunch of features that might be hard to explain to the average consumer. Rojas’s comment also hints at the heart of the matter for me: Did Amazon create some of the unique features of the Fire Phone for customers or for itself? Take, for instance, the Firefly function on the Fire Phone. This can recognize objects and point you to Amazon, where you can buy one of yourself. Cool features are nice but who benefits? Amazon made it very easy to use Firefly, even dedicating a hardware button to it. Hear a song? 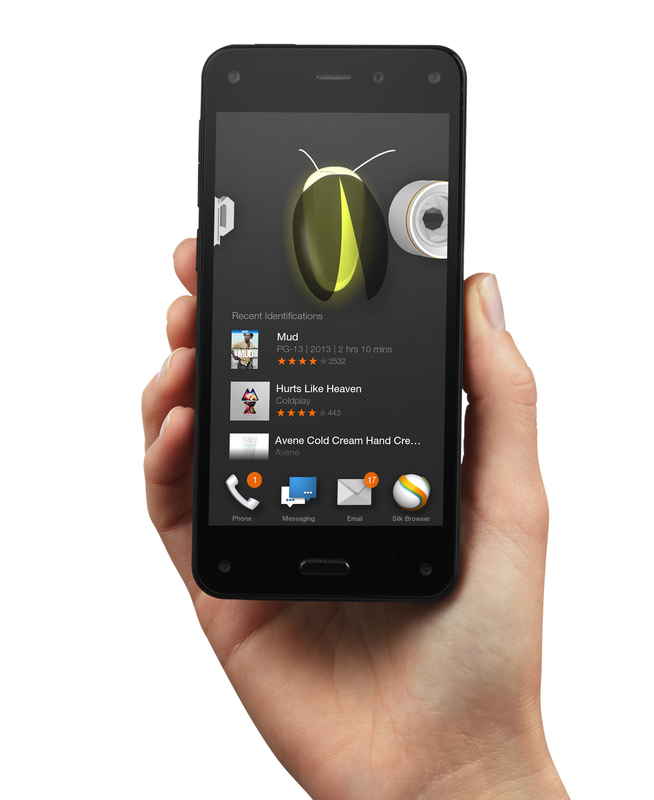 Press Firefly and the phone can identify it, making it easy to buy from — who else — Amazon. See something in a retail store that you might want to buy later? That Firefly button can add it to your Amazon wish list or, if you just can’t wait but want Amazon’s oft-lower price, place your order. By the way, Amazon’s app for other smartphones can scan product barcodes and recognize books, DVDs, video games and groceries as well. Firefly may do a better job, but it’s a variation on an existing Amazon theme. 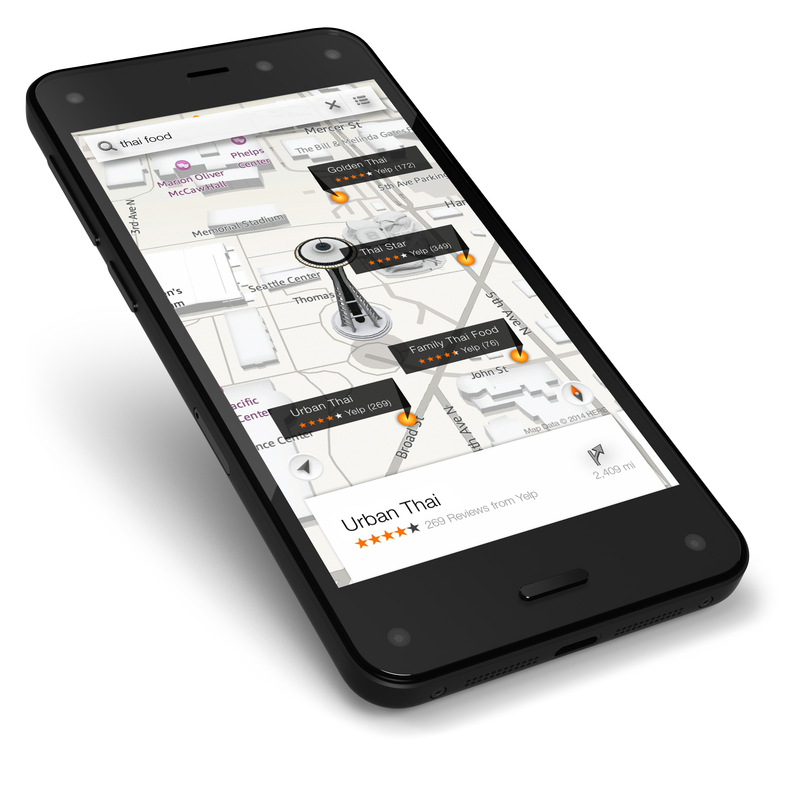 Then there’s Dynamic Perspective, a 3-D interface that uses sensors and cameras in the Fire Phone. You’ll have to learn what it does, though: Would you guess that tilting the Fire Phone would show Yelp ratings when searching for places to eat in the phone’s Maps app? Me neither. A similar principle is used to scroll through web pages and in books; you can tilt the phone to navigate. That’s not anything new. I’ve seen it on phones back in 2012 both through the native software of a handset and in third-party apps. Amazon may have accomplished by using different sensors, but guess what: I still don’t see anyone using the features, which feel gimmicky. It seemed like Bezos was show off what Amazon wanted to do with the phone’s sensors — he spent a fair amount of time on Dynamic Perspective — rather than showing off features consumers might actually want. And then there’s Amazon Prime, which is a key component of the phone, even it’s not a piece of hardware or software. There was early talk of Amazon giving the phone away to Prime customers but Amazon turned that whole approach around. Buy a Fire Phone and Amazon will throw in a year of Amazon Prime. Yes, that’s a $99 savings so there’s a consumer benefit — but I suspect Amazon will benefit more. It just found a way to potentially get more Prime subscribers who might not otherwise try out the service. And once you’re a Prime member, shopping regularly on Amazon becomes a frighteningly addictive behavior. As far as the actual Fire Phone itself, there’s little here to differentiate it from other handsets you can buy today. Amazon is using a quad-core chip similar to what you’ll Find in the latest Android flagships, for example. The company touted its five-element lens and 13 megapixel camera sensor with optical image stabilization, but that’s not entirely new either. I do give Bezos credit for bringing the Mayday button to the Fire Phone, though: One touch customer support is compelling for those who need it. Aside from that, however, what is Amazon offering that can’t be had from another phone? I’d argue in some cases, it actually offers less: Fewer apps than other Android(s goog) phones, for example. Amazon’s FireOS software is built upon Android; it runs a sub-set of Android apps, though. The Fire Phone does have one particular app advantage over Android: You can watch Amazon Instant Video on it; Android has no such app from Amazon. Short of that, though, what is Amazon offering over other Android devices, or an iPhone(s aapl), for that matter? A better retail experience, yes, but are consumers asking for that? Amazon could have used some industry clout to disrupt carrier pricing, but that didn’t happen. Amazon worked out an AT&T exclusive deal, limiting its potential customers, and pricing the phone the same as most other devices in the high-end. The “razor blade” model here could been interesting: Amazon could have deeply subsidized the phone’s cost to reduce or eliminate the purchase price and then make it back up in content and goods. A $99 starting price would change my perspective. And I actually would have been more excited if Amazon worked a deal with AT&T to allow for some Prime Music or Video streaming that didn’t count against a consumer’s data plan. Nope, that didn’t happen either. 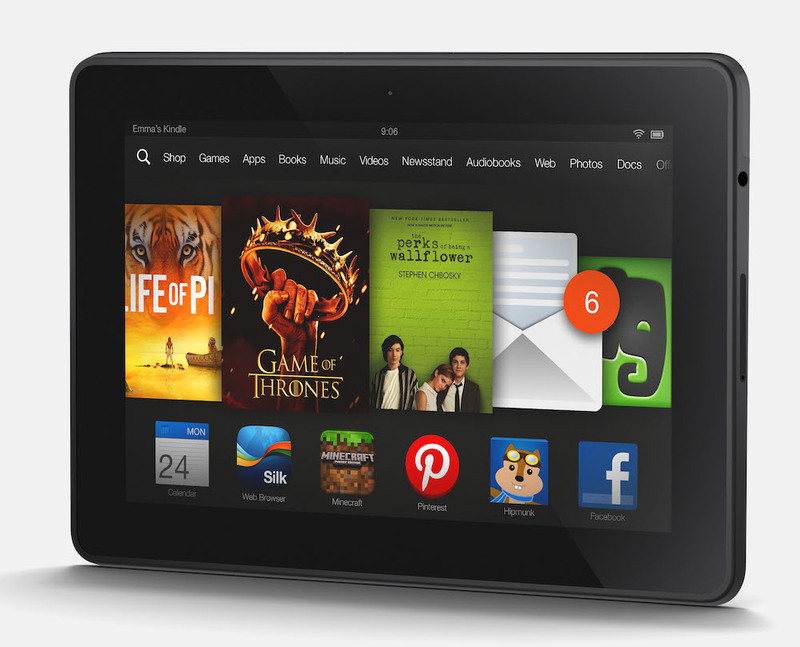 Amazon may be successful with its Fire OS strategy on its Kindle Fire tablets and Fire TV. I don’t think the same recipe for success will apply to the Fire Phone, though. Tablets and set-top boxes aren’t must have items for consumers; they’re nice secondary or tertiary devices that are optional. A phone, however? That’s pretty much a necessity. And for Amazon to take on the incumbents with a phone that offers little more than better opportunities for it to sell goods just doesn’t seem like an innovative winning strategy to me; not at this price point, that is. That leaves us with a phone with some extra sensors, a capable processor from last year inside — it’s a Snapdragon 800 — a nice camera and plenty of ways to buy more stuff from Amazon. Is it a phone that consumers want, then, or is it a phone that Amazon wants consumers to have? For now, I see a me-too device with some interesting features but nothing that would cause of droves of people to pick a Fire Phone over other available phones. Besides, those other handsets work just as well as window to the Amazon storefront in the sky. I am surprised by all the journalists and others calling the Amazon phone expensive. You get 32 GB for $200 – that’s 16 GB more than Samsung and Apple or $100 cheaper than Apple’s 32 GB model. I think a phone that is 2/3 the cost of the competition is an amazing deal. And I am also surprised at how short-sighted the media is on the Firefly technology thinking that it somehow only benefits Amazon. It’s an amazing recognition/search tool that can be used for everything from looking up Yelp reviews on a place you see on to finding out information on a house for sale. Yes, you can use to buy products on Amazon, but that is not the extent of it. There is an SDK for it, which many developers have already started using. For someone who hasn’t even used the phone yet but is going off the same information as everyone else, this review of it doesn’t seem very well balanced. Having read a few articles on this new device, all I really have to say is it’s no big deal. There are already some pundits claiming doom for Apple yet again but I really doubt that it will cut into iPhone sales in any significant way. All that this new phone can do is make it easier to shop at Amazon. So what. I don’t buy from Amazon anyway since I see it as one of the most immoral companies around. um, is this the first article written by Kevin Tofel that you’ve read? Shame on you! Go read some of his earlier works, then come back and apologize! Thanks Kevin… I think you and I have similar first impressions. 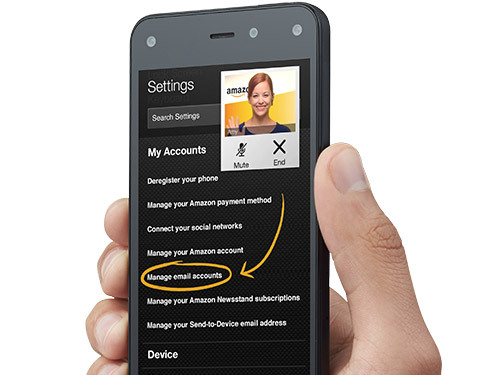 The Fire Phone sounds more like a portable scanner for entering Amazon purchases. And finally, a phone that out-gimmicks anything from Samsung! Appreciate your thoughts, Doug. ;) Seems like you generally got the same impression for Bezos and company. I still see missed opportunity here for Amazon to be as disruptive in smartphones as it has in retail. So it is too early to praise or condemn it, but yet you manage to write a negative article about it. I am not surprise however, as I actually had a wager on how long it would have taken for the Apple only tech media to rip into to it given that it is not made by Apple. I own a few Apple products by the way. But even so, it is easy to see how the tech media accept all things Apple, and condemn all other. Instead of trying (and failing miserably) to categorize my post as an Apple-friendly negative view, your efforts would be better served in telling me why you disagree and how the Fire impressed you. That’s a conversation I’m happy to have; debating allegiance to a company isn’t. Saying: “Apple only tech media.â€ about a Kevin Tofel post wins you: Dumbest comment of the week. (And that includes all of Youtube comments). They missed a giant opportunity. OEM a moderate phone for $150. Price it at $300 and then give away basic cell service with Prime. Say 2GB/1000min. Sell phones/cell time via Amazon. Why do you need AT&T front and center? There was room in Prime for this after the $20 price increase. Free basic data service in Prime would have upset everything. As for Fire Phone – I don’t care enough to even stop at an AT&T store to look at it. Firefly seems like the start of something big, however, if the SDK really allows you to do a lot more with it. It is basically search for the real world – and while Amazon might have started with it as a way to sell stuff, so did in a way AWS – and see where we are now with it. Firefly looks great for courtship and partner evaluation.